Saika Enterprise : 10-14 Chevy Equinox Stainless Steel Double Tube Rear Bumper Guard [U-GM320P] - Contact for Price! 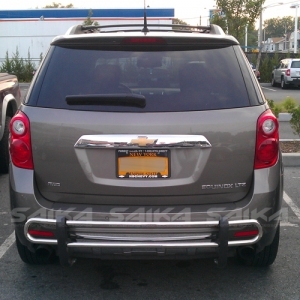 10-14 Chevy Equinox Stainless Steel Double Tube Rear Bumper Guard Contact for Price! Double Tube Design by Naxos®.